MAGNETIC CLOSURE: Your iPhone 7 Plus is safer with the effective and stylish magnetic closure provided.. HANDS FREE OPTIMIZED: Watching a movie or video on your iPhone 7 Plus has been made easier with the cover case. The firm stand enables users to have a good hands free experience on their iPhone 7 Plus. 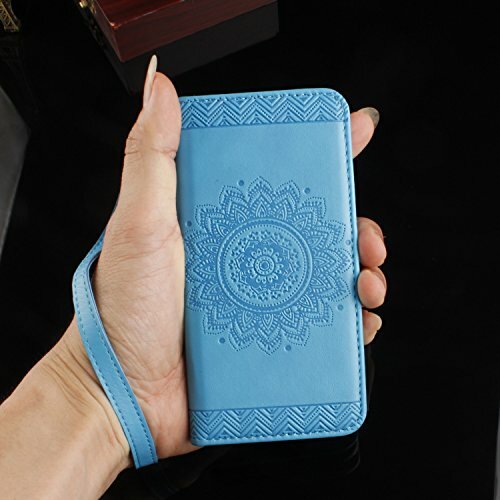 HANDMADE WALLET CASE: This wonderful cover case is also multi-functional, not just a iPhone 7 Plus case. Featured in this cover case is a secure and portable wallet to increase your mobility. The wallet case can be used to secure money and cards you will put in your purse or wallet normally. PREMIUM QUALITY MATERIALS & CRAFTSMANSHIP: Looks beautiful, feels great, wears well. Packing list: 1 x iPhone 7 Plus (5,5 Inch) case. (ONLY compatible with iPhone 7 Plus (5,5 Inch) ).